While I have a decent number of Hebrew and English resources available for research for this site, I have found that one limitation I have is the lack of ability to read Greek and Arabic. I don't think - at this stage - that I need to learn Greek and Arabic grammar and vocabulary. But often etymological dictionaries for English, Hebrew and Aramaic will refer to a Greek or Arabic cognate, and I would like to know how to accurately transliterate them into Latin or Hebrew letters. And as far as Arabic is concerned, if each Arabic letter is cognate to a Hebrew one, I would like to learn about how that works as well. 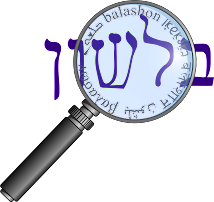 If anyone is familiar with any relevant resource - book or website, in Hebrew or English - please let me know by email or in the comments.